As the 90s Tiger was tamed at the millennium, many thought the days of Pan-Asian investment in Vietnam were gone. 2015 has seen them return in droves – and this time, for the long haul. In the early years following Doi Moi reforms, Vietnam hoped for much needed investment from across the globe. It was its near neighbors, however, who were the first to show financial faith in the slowly-opening country. Foreign involvement in property began in the 90s, with investors from Singapore, Hong Kong and Japan leading the way. Such pioneers were instrumental in modernizing Vietnam’s property infrastructure. Hotels, offices and residential units were conceived and constructed throughout the country through these early collaborations, giving the country its first modern property boom. As the decade ended and the millennium dawned, it all changed. Regional powerhouses were pulled back to matters at home, with stagnating economies limiting capital for overseas investment. Western companies filled the void they left behind, and regional giants were thought reticent to return to Vietnam. Until now. Since changes to the property market laws were announced in 2014, Asian investors are back. The changes – allowing overseas ownership of property for the first time – came into force on July 1st 2015, and have clearly proved tempting to investors of yore. This month (9/2015) will see one such stalwart return. HongKong Land were responsible for 2 Hanoi developments in the 90s – 63 Ly Thai To (in 1998) and Central Building (in 1995). 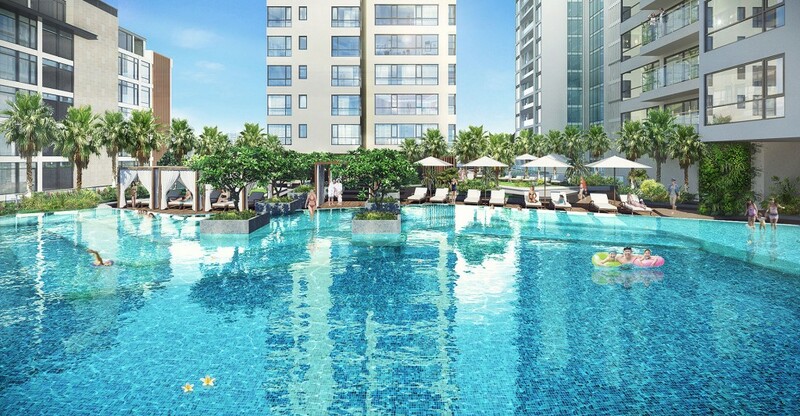 They are expected to announce a new luxury development in the east of Ho Chi Minh City, in conjunction with Hammond and SonKimLand – themselves responsible for HCMC’s Gateway project in Thao Dien. Jen Capital is another Hong Kong returnee. Jen, a member of the city-state’s Chiaphua Group, are set to top $50m in its most recent investment cycles, having already been instrumental in modernizing HCMCs District 2, including Thao Dien. This area has proved particularly popular for foreign investors – as it has with foreign residents in the city – but is far from the only beneficiary of new pan-Asian investment. Japanese investors are also back with big ideas, for HCMC especially. One such company, Creed Group manages equity of $5bn. A year ago, Creed partnered with a local group (Nam Bay Bay) in signing contracts to add more affordable units to the market in the shape of District 8’s City Gate Tower. It has its eyes on the higher end, however. Creed has committed $200m to An Gia Investment, a major player in Vietnam’s luxury housing sector. The investment will see Creed become equal partners with An Gia in its property portfolio, with additional loans and cash in the pipeline to expand its interests still further. This group accounts for around $1bn total investment value in HCMC, with deals for land in districts 2, 4, 7 and Tan Binh considered imminent. Another recent law change allowed 100% foreign ownership in certain Vietnamese business sectors, but collaboration between foreign and native investors is likely to continue in the property sector. How will the return of these investors shape the market? Keep up to date on these pages as we share the latest news about Vietnam’s property market.